Even as economic conditions in cities have improved in the years since the Great Recession, a new study from the National League of Cities (NLC) found that many factors -- including lack of affordable housing, poverty, and skill and achievement gaps -- are impeding the long-term economic sustainability of cities. 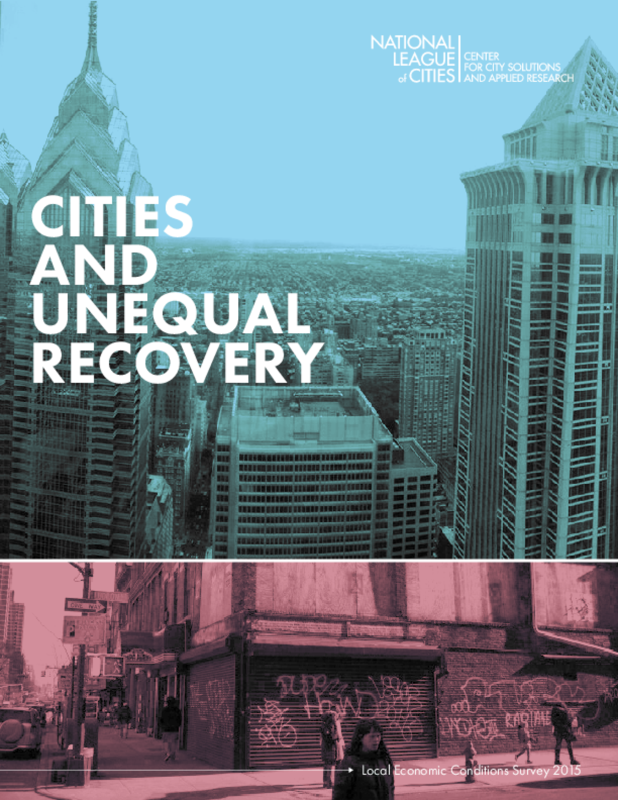 "Cities and Unequal Recovery," an analysis based on a survey of more than 250 city officials from cities of all sizes, uncovers dual realities in cities, where even as conditions improve, persistent challenges prevent the benefits of this growth from reaching many. The survey found that nearly all cities saw economic improvement in the past year, with 28 percent of city officials reporting vast improvement and 64 percent reporting slight improvement. Drivers of growth -- including new business startups, business expansions, property values and retail sector health -- starkly contrast with the reality of many residents on the lower rungs of the economic ladder. Skills gaps, lack of affordable housing and the rising demand for basic needs, like food and shelter, reveal that while economic conditions are improving for some, they are worsening for others.